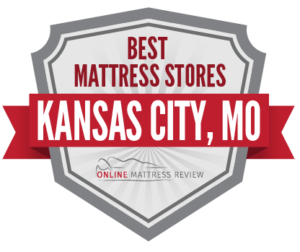 Review our guide to the best mattress shops near Kansas City, MO below and it will help you as you search for the perfect mattress. Quality of sleep affects quality of life. Research by the National Sleep Foundation shows that among U.S. adults with excellent sleep health, nearly 90% say they feel very effective at getting things done each day, compared to only 46% of those with poor sleep health. And a good mattress matters for sleep quality. Further studies conducted by Sleep to Live show that sleeping on a mattress with the right support for your body makes a measurable and significant difference on sleep quality, perceived stress, back pain, and energy levels. Unfortunately, many of us are sleeping on a mattress that no longer provides adequate support. Over time, mattresses build up allergens, sag and lose support, resulting in poor postural alignment and temperature regulation. Though experts recommend replacing mattresses every 7-8 years, most of us wait 10 years for longer to invest in a new mattress. Why the wait? Mattresses represent a serious investment (with most consumers spending $1,200 on a new mattress), choosing the right model can be a lengthy process, and deciding where to buy a mattress can be confusing. We’ve taken some of the hassle out of the process with our guide to Where to Buy a Mattress in Kansas City, Missouri. We’ve combed the reviews to find the most reputable stores, with knowledgeable sales staff to help you find the right match, and mattresses at a variety of price points, from luxury models to basic and affordable mattresses. Read on to find a great place to buy a mattress, right in your neighborhood. Mattress Firm has a big presence in Northern Kansas City, with multiple locations in the area, including Mattress Firm Shoal Creek (9231 NE Barry Rd), Mattress Firm Wilshire Plaza (8456 N Church Rd), Mattress Firm Tiffany Springs (9004 NW Skyview Ave), Mattress Firm Barry Towne (8409 N Madison Ave), Mattress Firm The Cloves (6301 NW Barry Rd). Mattress Firm is the nation’s leading mattress retail chain, and is popular for their wide selection of name brand mattresses and knowledgable sales staff. Sleep Number (7300 NW 87th Terrace) is known for highly customized beds. Sleep partners with different comfort preferences will appreciate their dual-sided adjustable beds, and tech lovers can try the brand’s 360 Smart Beds, which sense changes in sleep position throughout the night and automatically adjust comfort and firmness. The store offers a 100 day trial period and 25 year warranty as well. There are fewer places to buy a mattress in South Kansas city than in the North. One reliable option is Mattress Firm, which has established a presence in this area as well, and has locations at Mattress Firm Crossroads at Westport (905 Westport Rd) and Mattress Firm Ward Parkway (8821 State Line Rd). Both have earned perfect 5-star ratings on Yelp and Google, with customers consistently citing the stores’ outstanding sales staff, who are helpful without exerting sales pressure. Mattress Firm trains all sales associates to provide expert sleep consultations, working with each customer to assess their budget, body type and comfort preferences, as well as sleep-related issues such as snoring or back pain, to help them find their ideal mattress. The store offers a 100-night “sleep easy” return window, and will also meet the price of any competitor on the same mattress during this time frame. Prime Sleep (13171 State Line Rd) is another option in this region of Kansas City, and also offers highly personalized service. As with Mattress Firm, sales staff at Prime Sleep are trained to assess each shopper’s sleep profile based on their preferred sleep position and body type. The store stocks up to 40 different models from preferred brands like Tempur-Pedic, Sealy, Sterns & Foster and Sleep to Live, as well as pillows, adjustable bases, and mattress protectors. Finally, Discount Sales Outlet (5930 Broadmore St) has a strong reputation for both selection and prices. This 11,000-foot, no-frills showroom has a vast inventory of economical furniture and mattresses, including pillow-top and memory foam models, all priced under $400. Shoppers can easily pick up an affordable new mattress along with a box spring, bed frame, bedding and bedroom furniture all in one location. Bargain hunters in East Kansas City can score an excellent deal at Mattress 4 Less (3706 Independence Ave). This independently owned mattress store specializes in discounted inventory. Shoppers on a tight budget can score an even more affordable mattress at sister store, Mattress 4 Less Pre-Owned (3820 E Truman Rd). Another no-frills, independent mattress store in East Kansas is Midtown Mattress (3084 Oak St) which has affordable mattresses in a warehouse-style setting. BMC Mattress North Kansas City (1800 Burlington St) is located in the city’s northwest region, and has earned a solid 4.5 star average customer rating on Google. Buyers give great reviews for great selection and prices, with mattresses costing as little as 50% of the retail price. Much of the store’s inventory is drawn from overstock or mattresses with damaged packaging (but undamaged products), resulting in serious savings. The store was founded in 2010 by a retired Kansas City fire chief, and has since grown to a national chain which specializes in discounted premium Sealy and Sterns and Foster mattresses. BMC offers mattress recycling and supports a number of local and national charities. Wonderfully eclectic and wonderfully-named, Temple Slug (4303 Jefferson St) is located in the Midtown area, right near the Kansas border. Temple Slug is a longstanding and independently owned furniture and mattress store which specializes in futon mattresses and frames, waterbeds, and handmade wooden Thai furniture, along with funky and international housewares and decor. This stylish showroom is popular for its fun vibe, friendly staff, and extensive selection of futons and waterbeds, locally manufactured with varying levels of support. That ends our review of the best mattress shops in Kansas City, Missouri. We hope you found some useful information that helps you locate your next mattress shopping experience.